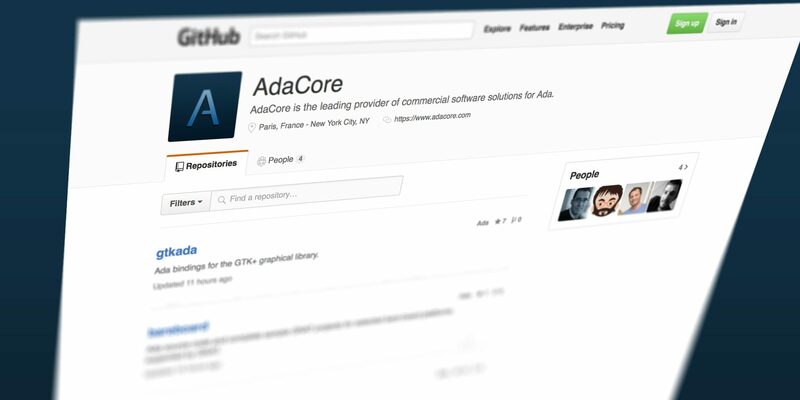 The decision to adopt GitHub was easy, as we are always looking for new ways to bring the Ada programming language to as many people as possible. By providing tools and practical lessons we hope to encourage the take up of Ada in one of the largest developer communities. In fact, GitHub now boasts a community of more than 11 million people, who are contributing to over 28 million projects! We have started by introducing: GtkAda (Ada bindings for the GTK+ graphical library), Ada source code and complete sample GNAT projects for selected bare-board platforms supported by GNAT, and an Ada binding for Lua. We will be adding other tools in the near future. You will be able to use the fork feature in Github to: build from sources without modifications, integrate bug fixes or develop new features, and contribute those changes back to the original project, if that makes sense for both the project and fork owner. We are looking forward to having yet another means of interaction with the developer community and we are sure that the ability to add enhancements or patches to the repositories will be beneficial to for the tools and the language as well.